Judi has been an enthusiastic and dedicated watercolour painter for over 30 years. After a few years of intensive painting her unique style evolved, and she found an increasing demand for her work. She was also persuaded to share her enthusiasm by teaching (both in the UK and abroad), and by demonstrations to Art Societies, workshops and commissions. Her entry in the ‘Who's Who of Art’ records that she is the President of the Palette Club, and a member of the Fosseway and several other art societies. Over the years she has had many highly successful solo exhibitions. She teaches less now giving her more time to paint. She also writes regularly for The Artist Magazine. Judi lives in the Cotswolds in the UK where she enjoys painting. 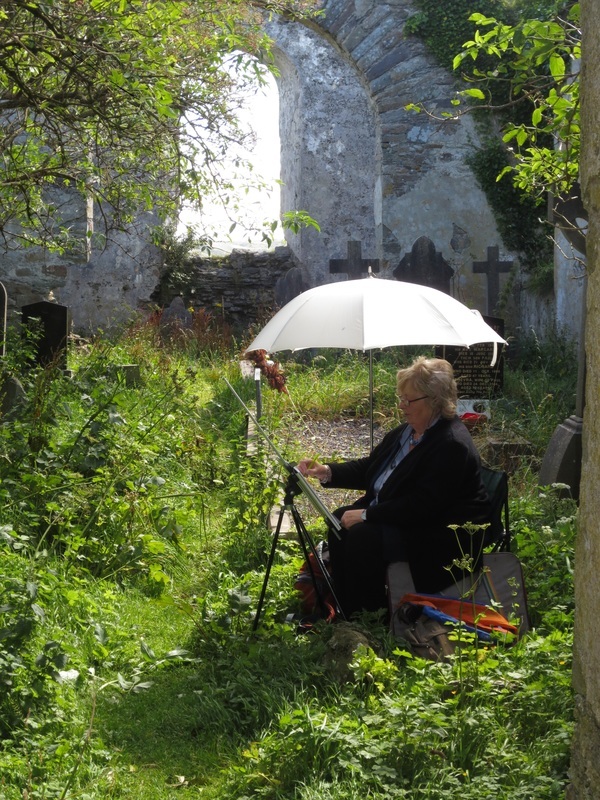 She and her husband Pete also spend time every year painting in Venice and West Cork. She passionately believes in the importance of painting landscapes 'on-site' and this is borne out in the freshness, effect of light and spontaneity in her work. Following the huge success of her first books 'Reflections' (now sold out) and 'Loosen Up your Watercolours' published by Harper Collins, Judi has recently published 'Painting Venice' which shows her deep appreciation and love of this enigmatic city. Judi writes about her painting "I love the quiet light conditions just after a downpour-colours are soft and subdued and light is reflected from the wet streets. The atmosphere is damp and still and gives the watercolourist a wonderful opportunity to concentrate on achieving the 'feeling' of the day."